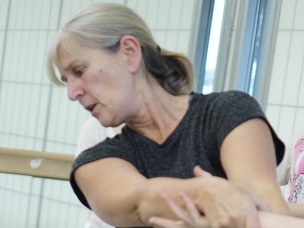 I am now a veteran teacher of dance with over 30 years experience and teaching continues to be my interest and passion. See roehamptondance.com/blog/erica-stanton-being-out-of-practice. I am specialist in Limón based technique and I've led classes for professional dancers and taught company classes throughout the UK, in the USA and most recently in New Zealand. I have recently completed a website with Dr Simon Ellis which identifies the nature of learning in a Limón based technique class http://roehamptondance.com/limonproject/. My choreographic work includes intergenerational work, and gallery and site specific projects and residencies. My research interests are increasingly focused towards developing new teaching practice in dance and examining dance's potential for learning and personal development. Dance Teaching mentor for Phoenix Dance Company and Loop Dance Company. Auditor/mentor for Dance technique teaching provision at the University of Auckland. Dance technique, choreography, performance and teaching dance. I am a teacher and I will do what I can: some speculations on the future of the dance technique class and its possible transformation. Movement, Myths and Metaphors: A Story of the Dance Technique Class and its Demise.